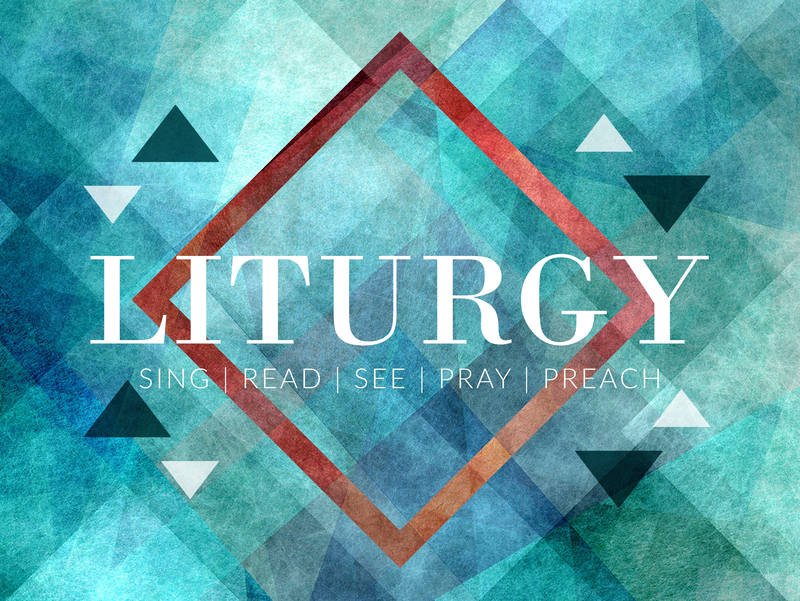 We’re entering into our third week of our study on liturgy, or how we structure our time of corporate worship together. If you happened to have missed the past few weeks, we have been taking a hard look at how we spend this hour together in light of the Word of God, allowing to be the foundation of all we do and hope to accomplish. We began with the singing of God’s Word through psalms, hymns and spiritual songs. Last week, we looked at the public reading of God’s Word within the worship service. May that genuinely be our prayer this morning – to have our eyes opened to see God’s glory, beauty and excellence. You can see many things when you come to the Word without God’s opening the eyes of your heart. You can see words and grammatical constructions. You can see logical connections. You can see historical facts and human emotions. None of that requires that God open your eyes in a special, spiritual way. But what you cannot see is the spiritual beauty of God and His Son and their work in the world. You cannot see that God is infinitely desirable above all things. A blind person cannot see the sun, although he can know many facts about the sun and pass a test in astronomy with a score higher than a person who can see the sun. Knowing about and knowing by sight are not the same. Knowing that honey is sweet and tasting honey are note the same. Throughout these two verses, Paul mentions five terrible traits of the human condition that require divine intervention if we are to see spiritual reality. He says that the gentiles (or the ordinary world of men apart from grace) live in “the futility of their thoughts. They are darkened in their understanding, excluded from the life of God, because of the ignorance that is in them and because of the hardness of their hearts.” If we read through that list backwards, we can say that there is in all of us, apart from the grace of God, a hardness of the heart that leads to ignorance that leads to alienation from God that leads to darkness that leads to futility of knowledge and life. In thinking again of 2 Timothy 3:16-17, we should by now understand the value of God’s Word in that it allows us to be changed into the likeness of Jesus by seeing the beauty and word and excellence of God and His Son and their words and ways. Coming more into the likeness of Jesus should be apparent. We should be transformed in our actions, in our thoughts, in our heart, and in our spirit. But going back to our question, how do we see God’s Word at work within the worship service? Scripture points to two powerful, visual representations of God’s Word at work in the life of the believer: baptism and the Lord’s Supper, or Communion. While we claim that both ordinances are symbols and are not necessary for salvation, they are nonetheless a significant part of Baptist practice and worship. Baptism in particular symbolizes the death, burial and resurrection of Jesus that has made possible our salvation. Baptism also symbolizes that a person through faith in Christ has passed from death to life and that this person has identified with Christ’s death and resurrection. We’ll speak more and partake the Lord’s Supper shortly but, again, while we believe that both ordinances are symbolic, it doesn’t mean that we believe that they are inconsequential. Both are of great significance, especially within the context of the worship service. They are important because of their divine origin. They are not human creations but have been given to us by God to help us in declaring and sharing the gospel while motivating us to live the Christian life. 16 The cup of blessing that we give thanks for, is it not a sharing in the blood of Christ? The bread that we break, is it not a sharing in the body of Christ? 17 Because there is one bread, we who are many are one body, for all of us share that one bread. 18 Look at the people of Israel. Do not those who eat the sacrifices participate in what is offered on the altar? 19 What am I saying then? That food offered to idols is anything, or that an idol is anything? 20 No, but I do say that what they sacrifice, they sacrifice to demons and not to God. I do not want you to participate with demons! 21 You cannot drink the cup of the Lord and the cup of demons. You cannot share in the Lord’s table and the table of demons. 22 Or are we provoking the Lord to jealousy? Are we stronger than He? 23 “Everything is permissible,” but not everything is helpful. “Everything is permissible,” but not everything builds up. 29 For whoever eats and drinks without recognizing the body, eats and drinks judgment on himself. So, the act of baptism affords opportunity for a person who is being baptized to testify publicly that he or she has trusted Jesus as Lord and Savior and experienced forgiveness of sin. The person doing the baptizing can utilize the experience to explain the nature of salvation and meaning of baptism. When we consider the Lord’s Supper, it’s important to note that it provides us with an opportunity for both evangelism and Christian growth. It movingly emphasizes the love of God that led Jesus to give himself as a sacrifice for sin. For believers, it affords a time for special communion with the Lord, expressing thanks for His sacrifice that enables us to be forgiven of sin. To partake of Christ requires us to believe that Jesus offered Himself for us, and this is true not only in the Christian life in general, but also when we come to the Lord’s Table. If our hunger and thirst would be satisfied, we must believe in our Redeemer. Partaking in Christ’s body and of His blood in the Lord’s Supper involve more than just trusting in Jesus. The Holy Spirit grants us faith, and we exercise that faith, but in this moment the Spirit unites us “more and more to Christ’s blessed body.” Receiving the Lord’s Supper in faith is a means by which our union with Christ is strengthened. The Lord’s Supper is not the instrument of justification – that comes by faith alone. But once we are united to Jesus, the Lord’s Supper is an instrument through which our union with God’s Son becomes stronger and more vital. Our passage here in the sixth chapter of John proves this declaration. Within it, Jesus uses some striking language. Obviously, Jesus is not advocating some sort of cannibalism. But at the same time, we should not empty His words of their force. He is communicating this vital truth: we need the entire Christ as much as, even more than, we need to eat. In other words, our life is impossible without Him. Moreover, in calling attention to His flesh and blood, Jesus makes it clear that we need Him in His humanity as well as His deity. Communing with our Savior at His table is a special way for us to direct our adoration and love toward Him in His humanity, which was crushed for our sake. At His table, by His Spirit, we meet Him in the flesh. We are lifted to the heavens so that we may commune with the whole Savior, the One who sits at the Father’s right hand and intercedes for us. There we meet with Him and remember anew that He has bought us with His own blood.